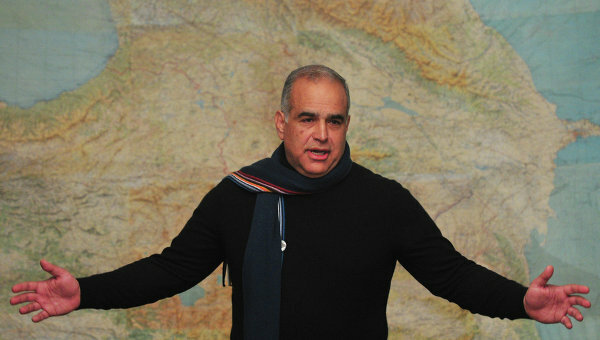 Hovannesian ends hunger strike; says political struggle will continue. On Easter Sunday morning the leader of the Heritage party, went out of his tent, which he had set up in Liberty Square in the center of Yerevan, and said he was grateful to all those who supported him in his protest. “I want to thank my family members who supported me during these days. I’m also grateful to all policemen who, with the exception of some minor incidents, performed their duty well,” Hovannesian said, adding he would continue his political struggle the next day. Observers consider that the end of the hunger strike might indicate that Hovannesian will now enter into negotiations with the incumbent President Serzh Sargsyan over some kind of power sharing. Hovannesian has repeatedly stated that any negotiations will have to be conducted transparently and that he himself was not seeking any post in any power-sharing arrangement. Over the last weeks Hovannesian has also called for either new Presidential or new Parliamentary elections. Whilst this demand is unlikely to be satisified Armenia is likely to embark on the search for a new constitution which may bring an end the current impasse in Armenian politics. source: CEW staff with RIA Novosti and other agency reports. Horse-trading on the square. Armenian politics go open-air. Sargsyan sworn in for second term as he juggles change and continuity. Daily updates with news, analysis and resources about the Caucasus Region. You can view and download all the back issues of the printed edition from our "Back Numbers" section in the menu.